Fair to say the Crusaders or Lions won't be fizzing to face the Highlanders next week after the Reds were beaten 40-17. The result of this match was never going to have a major bearing on the make-up of the quarterfinals. The Highlanders had already booked their spot in the playoffs but the attitude and intent they brought on Friday night suggested otherwise. 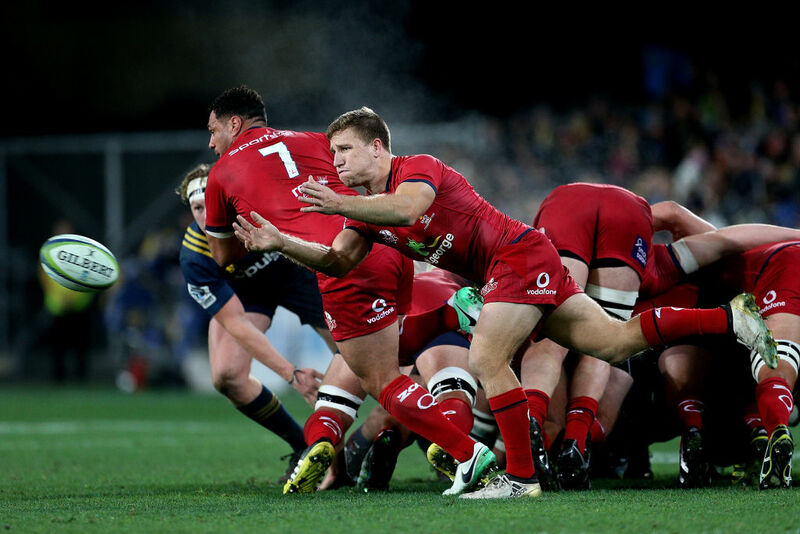 Whatever transpires this weekend, their convincing win over the Reds ensures they will travel to Christchurch or Johannesburg for next week's knockout match with momentum and confidence; two valuable commodities at this time of year. In their final home match of the season, the Highlanders were widely expected clean up the lowly Reds. While their attacking game gets a tick after scoring six tries, defensively they can improve. Three tries is probably too many to concede. Throw rested All Blacks Ben Smith and Aaron Smith back into this team next week, and every opponent will know Tony Brown's men are capable of beating anyone on their day. Let's not forget they have now won 10 of their past 11 games. And they are at their best when written off. Surely no-one will be that silly this time around. There were no surprises in the Highlanders' approach. They stuck to what they do best. Quick lineouts, fast rucks and constant ball movement to chase the width forced the Reds to scramble throughout. Such tempo and offloads rattled the Reds. 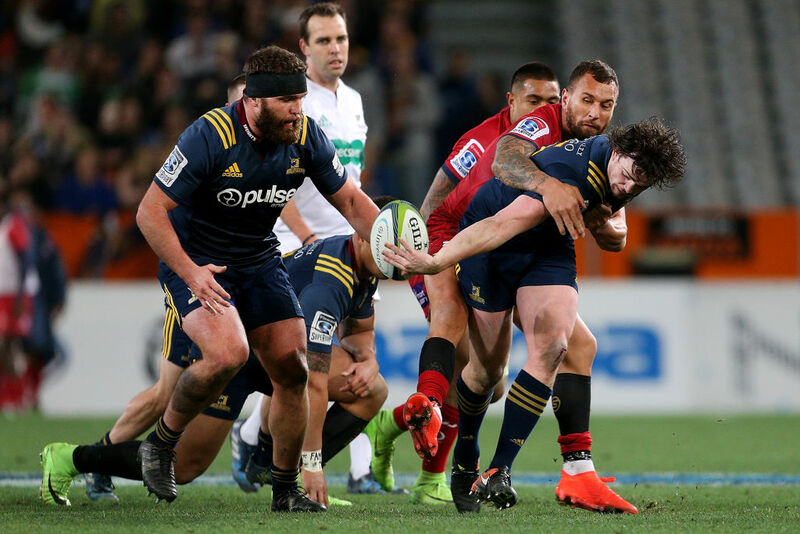 Interchanges between backs and forwards didn't always stick, and some of the Highlanders kicking was inaccurate, but when it did come off they were devastating. The attacking contrast was stark. While Waisake Naholo ran rampant on one side, the Reds dropped pill, squandered try scoring chances, kicked out on the full and threw wayward passes. They really were awful at times - in many ways summing up why New Zealand teams have now won 30 games in a row over Australian opposition this season. The Highlanders loose forward trio - Liam Squire, Luke Whitelock and James Lentjes - shone. The comfortable nature of the game allowed Brown to spell many of those key men early. Lock Jackson Hemopo put in another solid shift, showcasing his strength defensively to hold up several ball carriers in contact. In his comeback match from a broken thumb after two months out, Squire was prominent in the tram lines. With his first touch he charged hard at Quade Cooper, and from then on displayed pace and power with ball in hand and force on defence. Whitelock was, likewise, busy going forward and Lentjes scored a stunning try with a memorable big don't argue on Wallabies star Karmichael Hunt, who left not long after. Reds centre Campbell Magnay had some nice touches. George Smith contested as he always does, and Taniela Tupou impressed on the carry, one in particular where he bumped off Lima Sopoaga. But, collectively, the Reds' soft defensive moments, highlighted by halfback Kayne Hammington darting over from a scrum five metres out, undid much of their good work. Two of the Reds' three tries came from the efforts of their pack from close range - an area the Highlanders need to improve. Come next week the opposition will be vastly improved. But these southern men won't die wondering.